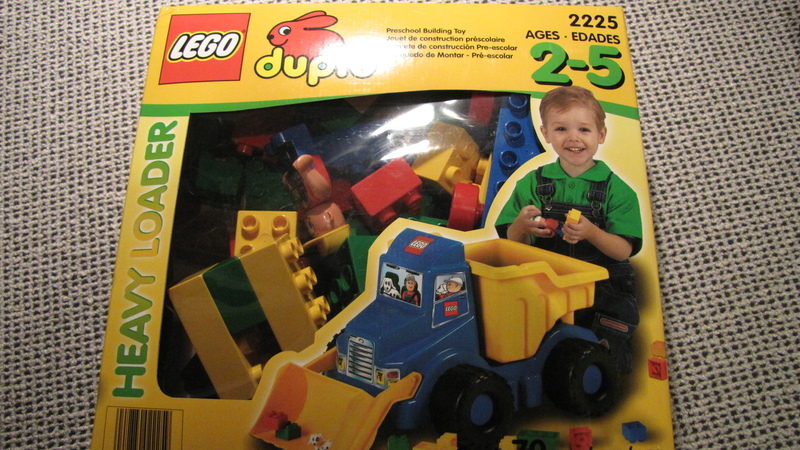 I have a "Lego Duplo 2225 Set - Heavy Builder" that i need to sell. I don't know how much it's worth though. It's mint condition. Duplo doesn't have anywhere near the resale value of Lego, and I think the main reason is that Duplo, for obvious reasons, doesn't appeal to adults. You have a $5 - $10 box right there, if that. Maybe less because it's not Jake or Winnie the Pooh, etc. I suggest you donate it to your local preschool. I had some old Duplo sets (fire brigade and airport) and was surprised at how much they went for on Ebay, I think more than I paid for them. So just check out Ebay.